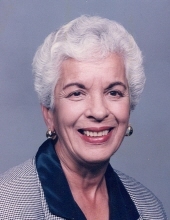 Phyllis (Simiele) Rao, 90, of Syracuse, passed away Friday, March 29, 2019 at Elderwood at Liverpool. Born on August 28, 1928, she was the daughter of Michael and Sophia (Pasco) Simiele and a 1946 graduate of Vocational High School. Phyllis met her husband, Sam, while attending dances. They were married in November of 1947. They had their only child, Joseph, in 1950. Phyllis and Sam were the founders, owners and operators of Sam Rao Florist in Fairmount and Rao's in Mattydale. Phyllis retired in 2001 after 54 years. Sam and Phyllis joined many floral competitions in the NYS Fair and won first place in the Professional Florist Competition. After Sam’s passing, Phyllis was named Business Person of the Year in 1996. Phyllis enjoyed traveling, especially visiting Hawaii, Europe, Aruba and the Bahamas. She also enjoyed playing golf and going to the casinos and racetrack in Boca Raton, FL. Phyllis was a member of FTD, Teleflora and sponsored many teams at Tuscarora Golf Course and Strike and Spare Lanes. She also was a member of Camillus Business Chamber of Commerce and the Camillus Elks. She was a communicant of Holy Family Church and St. Bridget's, both in Syracuse, and Our Lady of Lourdes in Boca Raton, FL. Above all, Phyllis loved spending time with her family. Phyllis was predeceased by her husband of 47 years, Samuel, in 1994; and brother, Richard Simiele, in 2013. Surviving are her son, Joseph (Patricia) Rao of Marcellus; grandchildren, Janel and Jordan Rao, both of Sherman Oaks, CA; and several nieces and nephews. Relatives and friends may call Saturday, April 6 from 8:30 to 10:30 a.m. at the Buranich Funeral Home, 5431 W. Genesee St., Camillus. A funeral Mass will follow at 11 a.m. in Holy Family Church, 127 Chapel Dr., Syracuse. Phyllis will be laid to rest in Greenlawn Cemetery, Warners. To send flowers or a remembrance gift to the family of Phyllis S. Rao, please visit our Tribute Store. "Email Address" would like to share the life celebration of Phyllis S. Rao. Click on the "link" to go to share a favorite memory or leave a condolence message for the family.